There are days when I feel just oh-so-lazy. I love cooking but some times, especially when I have a book that I am really into, I just want to make a super quick dinner so I can get back to my book. Yes, I am a book worm. Heh. 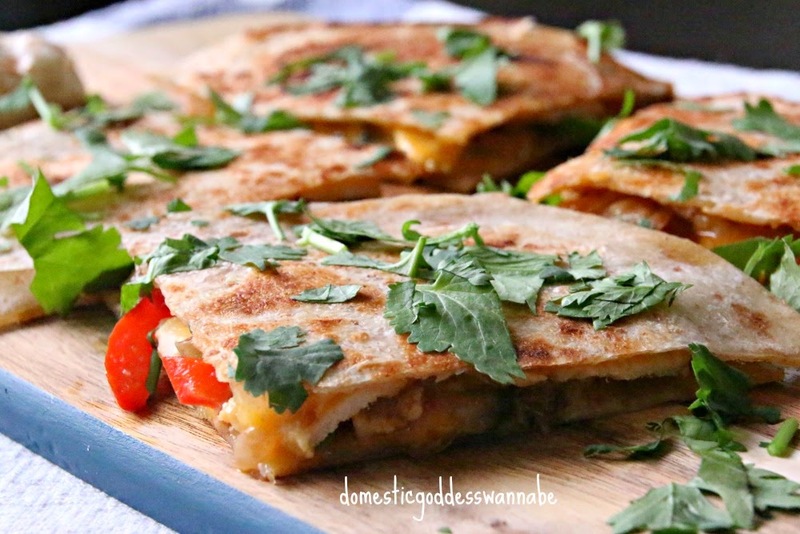 One of the meals I turn to on my oh-so-lazy days is a quick and easy quesadilla. You can stuff anything into quesadillas as long as it can be held together by the cheese. Today I had some left over roast chicken breast, mushrooms and half a red pepper, so I used them. Here are the instructions on how to make this simple quesadilla. Melt a little butter in a Dutch oven or frying pan. Add a little olive oil to keep the butter from burning. Add sliced mushrooms and saute for a couple of minutes. Add sliced onions and red pepper and continue to cook until the vegetables are softened. Season with salt and pepper. Set this aside. Grate the cheese. You can use any hard cheese that you like. I like to use sharp Cheddar or Red Leicester. Place a piece of wholemeal (or any flavor) tortilla on a hot frying pan. Sprinkle cheese on the tortilla. Spread the vegetables on the cheese. Arrange the sliced chicken on the vegetables. Season with black pepper if you like. Finally place a second piece of tortilla on the cheese. Slide a spatula under the quesadilla and place your other hand on top. Carefully flip the quesadilla and allow the tortilla to brown and the cheese to melt. Cut the quesadilla into quarters or wedges, top with chopped coriander and serve with sour cream and guacamole if you like. All I can say is Yum Yum YUM! 1. Melt a little butter in a Dutch oven or frying pan. Add a little olive oil to keep the butter from burning. Add sliced mushrooms and saute for a couple of minutes. 2. Add sliced onions and red pepper and continue to cook until the vegetables have wilted and soften. Set this aside. 3. Grate the cheese. You can use any hard cheese that you like. I like to use sharp Cheddar or Red Leicester. 4. Place a piece of wholemeal (or any flavor) tortilla on a hot frying pan. Sprinkle cheese on the tortilla. 5. Spread the vegetables on the cheese. 6. Arrange the sliced chicken on the vegetables. Season with black pepper. 8. Finally place a second piece of tortilla on the cheese. 9. Slide a spatula under the quesadilla and place your other hand on top. Carefully turn the quesadilla and allow the tortilla to brown and the cheese to melt. 10. Cut the quesadilla into quarters or wedges, top with chopped coriander and serve with sour cream and guacamole if you like. 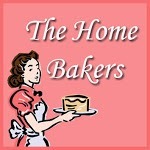 Hi Diana, your quesadillas look so yummy.....wish I can get a piece :) thanks for sharing your recipe. Hi Diana, on my lazy days ... will make these Quesadillas and munch munch ^-^! 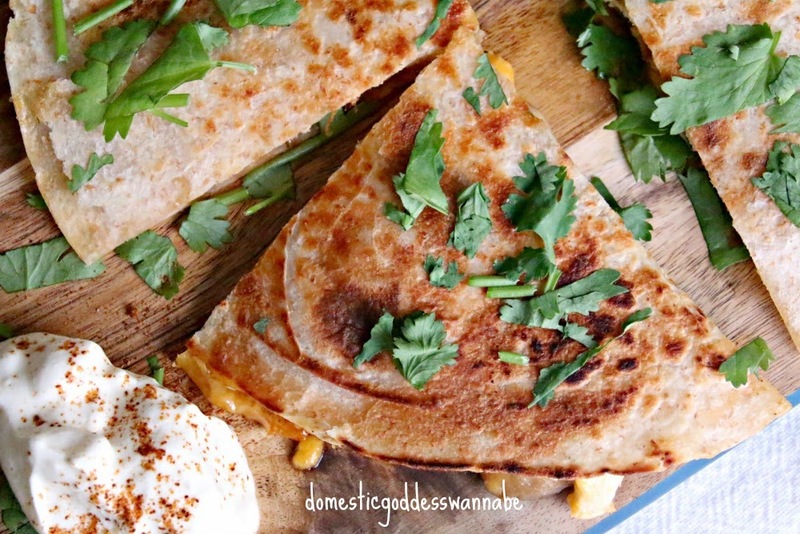 My kids love quesadillas, with extra cheese! these look yummilicious!